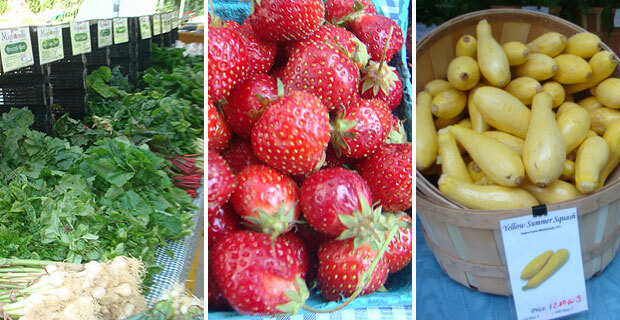 Our Greenmarket is Here! Hooray! Our neighborhood has just been served… with a side of swiss chard, organically pasteurized eggs with pies for dessert! Battery Park City now has a Greenmarket to call its own. After being Greenmarket connoisseurs without a country — Battery Park City’s Greenmarket is here to stay until November 24th. Starting today and every Thursday from 8AM until 6PM, greenmarket vendors will be set up in the ring road right outside 225 Liberty Street at South End Avenue. If this morning is any indication — a key piece of advice is to get to the stands before you head out to work. The fresh veggies, fruits and baked goods will certainly be snatched up by our business neighbors by lunchtime. Case in point: while perusing the stalls at 9:30am, some of the best looking produce had already been procured leaving many visibly empty spaces within the lush terrain of fresh produce. Also, while heading to the greenmarket — there were several people heading back to their apartments with bags of produce leaving in the opposite direction all before 9am. We can’t blame them. The Greenmarket is very exciting for the southern portion of our neighborhood. Before today, the best excuse the South End part of the neighborhood had for fresh produce has been the fruit cart flanked at Albany Street and South End Avenue. The North End of the neighborhood has been blessed with easy access to the Tribeca Greenmarket as well as the Whole Foods. The location of Battery Park City’s greenmarket is smartly placed in the center of the neighborhood — easy enough for everyone to get to. Not to mention it’s also an excellent use of a ring road that seems hardly used post 9/11. Red Jacket Orchard – Fruit, juices and assorted bottled goods such as apple butter. Lavender by the Bay – Fresh lavender and assorted lavender products. Holten Farms – Vegetables, fruit, maple syrup, honey, eggs, baked goods, and meat including, beef, turkey, pork, chicken and lamb. Yum! Welcome Greenmarket! May you help all of us eat healthier meals. Check out some of the photos we took from our first visit to the Battery Park City Greenmarket!